Lemon shortbreads that associate sweetness with tangy notes of Sicily Citrus (pulp, essential oil). Shortbreads are typically Scottish biscuits. 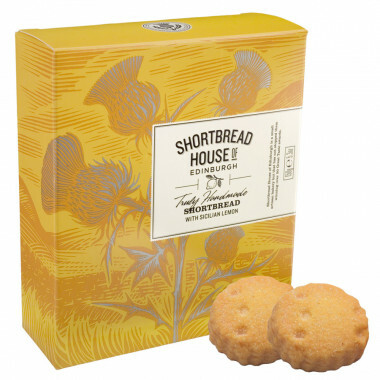 This box contains the famous shortbread revisited by the addition of Sicilian lemon which brings tangy notes. Biscuits made by hand with an incomparable texture. Ingredients : flour (wheat flour (gluten), calcium, iron, niacin, thiamin), butter (milk, salt), sugar, ground rice, vegetable oils (rapeseed & segregated sustainable palm oils), whole lemon pulp (1.9%) (lemon, preservative: sulphur dioxide), lemon oil (0.7%).